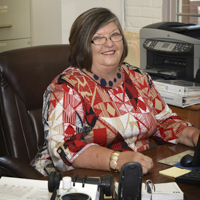 This office established eleven zones throughout Hardeman County, and each zone has certain land uses which are allowed. These zoning regulations have been made to promote the health, safety, morals, and the general welfare of the Hardeman County Planning Region. A permit is required for the construction of any building or addition valued at $5,000 or more. Also, all mobile homes are required to purchase a permit. Also county subdivision regulations apply when dividing land for sale or building. This office also enforces Flood Zone regulations so that the county its rating in FEMA’s Flood Insurance Program.